As is usually the case, the final card can change. Last year, WWE was advertising a five-way match for Fastlane with AJ Styles defending the WWE Championship against Randy Orton, Shinsuke Nakamura, Kevin Owens and Sami Zayn. The final match saw Styles defend against Zayn, Owens, Baron Corbin, Dolph Ziggler and John Cena in a Six-Pack Challenge. 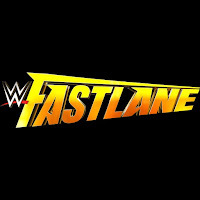 WWE Fastlane takes place on Sunday, March 10th at the Quicken Loans Arena in Cleveland, Ohio.